Metro takes you all over town and to all kind of events. This weekend check out a photography exhibit in Little Tokyo, a classical music performance in Pasadena and a local art swap meet in Hollywood – among other events. 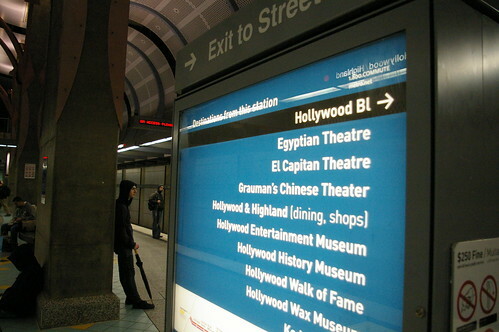 All easily Metro accessible. Have an event you’d like us to include? Shoot us an email at thesource@metro.net. Time and space constraints limit us from listing every accessible event in this city, but this curated list represents what we think is cool and easy to get to. This family-friendly exhibition for the young and the young at heart offers a playful yet powerful perspective on the complex nature of contemporary American identity. When: Runs through September 26th, Museum Weekend hours 11:00 a.m. – 5:00 p.m. The band responsible for that hit song “Help I’m Alive” brings its pop sensibilities to Hollywood. Check out Saturday and Sunday’s Metro accessible events after the jump. A swap, exhibition and sale put on by the Illustration Department at Otis College of Art and Design. When: 3:00 p.m. – 8:00 p.m.
Where: Meltdown Comics , 7522 Sunset Blvd. All girl rock group with some serious pedigree. Join Les Figues Press in celebrating Women’s History Month and the release of Feminaissance: a book of tiny revolts.